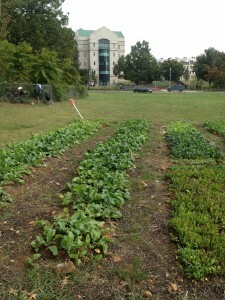 An article in the Sunday Washington Post featured the garden at the Oblate Headquarters in Washington in a piece on the DC Urban Agriculture bill under consideration by the City Council. Roberto De Jesus Silva OMI, our visitor from Brazil, is featured in the photo attached to the article and has been a regular volunteer with the Saturday group. 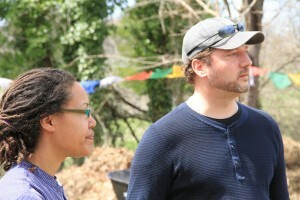 Gail Taylor, farmer at the 391 garden, and David Grosso, At-Large Member of the Washington, DC Council at the April 5th opening of the garden. 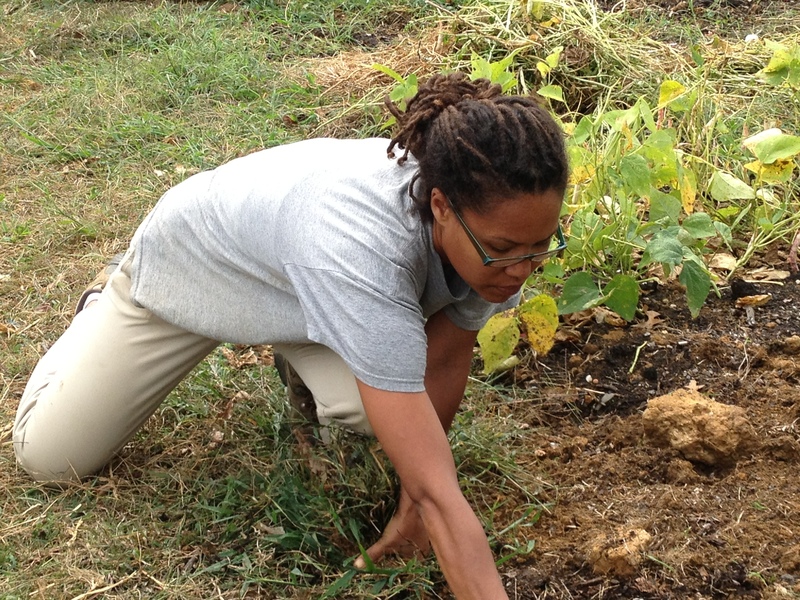 Supporters of the vegetable garden at the Oblate House in Washington, DC met on April 5th to mark the start of the third season of planting. The lead gardeners, Gail Taylor and Zachari Curtis, came together with volunteers, neighbors, supporters of urban gardening in DC, members of the local oblate community and DC Councilman David Grosso. Also in attendance were: Black Belt Justice Center, DC Greens, Green Girls Go, Dreaming Out Loud, the Green Scheme, Damien Ministries. The project was initiated three years ago with the support of the local oblate community and the province administration, and has delivered a variety of rich and wholesome vegetables in the first two years of operation. The land previously was used primarily for recreational purposes, and the farmers have worked hard to improve the soil quality so it can be used for farming. The project is one of a number of neighborhood vegetable initiatives established by people committed to producing food for people in the city, particularly for underserved neighborhoods. Councilman David Grosso has introduced the DC Urban Farming and Food Security Act to make more urban vegetable gardening initiatives possible. This legislation will provide access to city lots and tax incentives designed to make the business model more attractive to entrepreneurs, with the result that healthy, locally grown vegetables would be more accessible to District residents. All of the groups attending the April 15th event are committed to mobilizing support for the legislation.